Choosing the right CFD consulting partner to solve your engineering problems is often a mammoth task. You definitely don’t want to give your product’s crucial design module in wrong hands. As more number of engineering service providers keep on emerging, the question choosing the right one to meet your engineering expectations becomes even more complex. CFD consulting companies come in different sizes and capabilities and it is important to ensure that the one you choose for your projects meets the requirements clearly as per the expectations laid out. Hiring the consultant is a secondary concern; what is even more important is to realize who should actually consider hiring a CFD consultant. This guide lays out some important points for organizations looking to adopt simulation driven design approach in their product development cycle, but is skeptical about choosing the right partner. 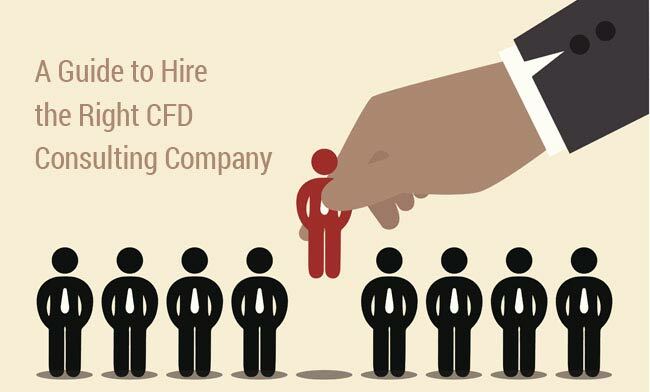 Who Should Hire CFD Service Provider? It requires a proper business plan to decide on hiring CFD employee, developing infrastructure capabilities and upgrading the product development process. However, in many cases, it is profitable to take assistance from outside consultant rather than investing in developing a special division for simulation purposes. It is quite difficult to figure out the right partner for your project requirements; the one that will help speed up the design process rather than stretching the development cycle. Use the web to identify some of the good service providers. You can figure lot many things from a provider’s website such as their domain expertise and experience in the industry. Consult others working in your industry for referrals to identify domain experts more easily. Search for companies in some of the reputed technical conferences as well as their published technical papers to assess their expertise. Take advice from reputed online forums where experts usually post information about expert consultants and new developments in CFD techniques. One you manage to figure out the right CFD consultant to handle your project requirements, the next step is to build a communication with them. Try to get feedback from their previous customers and figure out what they are saying about the company. Ask the consultant for a pilot project to determine capabilities and service quality.